Former President, First Lady, to produce series and films for streaming giant under multi-year deal. 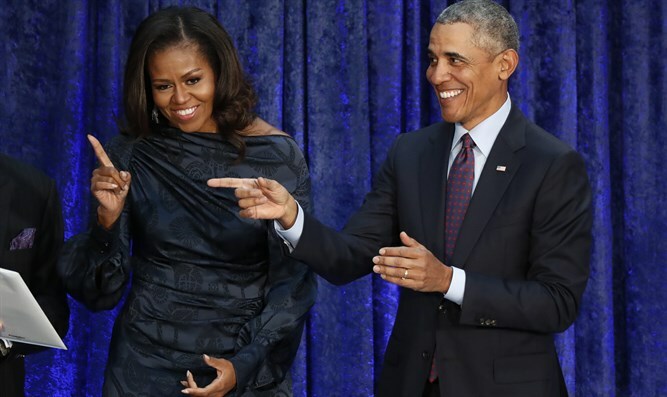 Former US President Barack Obama and his wife Michelle have signed a multi-year agreement to produce series and films for Netflix, the streaming giant announced Monday. “President Barack Obama and Michelle Obama have entered into a multi-year agreement to produce films and series for Netflix, potentially including scripted series, unscripted series, docu-series, documentaries, and features,” Netflix announced on Twitter. Former President Obama stated: "One of the simple joys of our time in public service was getting to meet so many fascinating people from all walks of life, and to help them share their experiences with a wider audience." "That's why Michelle and I are so excited to partner with Netflix — we hope to cultivate and curate the talented, inspiring, creative voices who are able to promote greater empathy and understanding between peoples, and help them share their stories with the entire world."